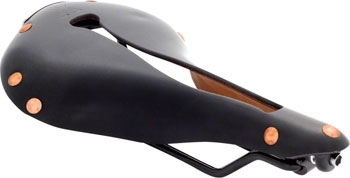 Selle Anatomica X Series Saddles. Designed for riders between 160 and 250 lbs. Comfortable with high satisfaction, easy to adjust, best quality !! Need about 4 adjustments to insure it was custom fit for me. Normal !!!! Not cheap - but do you really want to cut corners on such a critical element?! I've been putting on road miles since the mid-70s, and until last year I was always of the opinion all saddles presented a significant degree of torture; that an expensive seat wouldn't be THAT much better for the money. I was wrong. This awesome saddle will be the last I buy, and it will extend the miles - and years - I'll be able to continue to enjoy biking! Comfortable right out of the box. Comfortable right out of the box. The saddles tension can be adjusted. Short break in period. Good instructions. It's not the most attractive saddle if you own a new carbon fiber bike but who can see the saddle if your sitting on it. 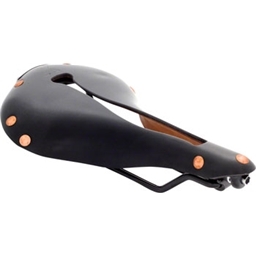 If you own a new bicycle its not the most attractive saddle. If you do not have mechanical knowledge of bikes it might not be easy to adjust. I have been riding for 30 years. I own 5 bikes, I also build bikes from road bikes to fixes. I have the same saddle on all my bikes. After the aids ride this year i knew i had to begin to change my saddles. It's a big deal after thousands of miles to change a saddle. If you can't sit on the bike it doesn't matter how good of shape your in you're not going to enjoy the ride or go very far. I bought this saddle after much research I've got over 200 miles on the saddle now . It's on my fixie I've adjusted it as instructed and it's awesome now. I've got 4 more to buy.